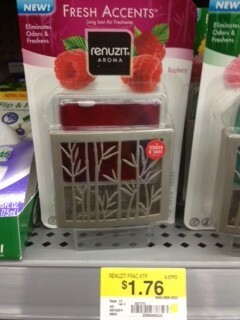 Renuzit Fresh Accents only $0.88 w/ Coupon! Print out this B1G1 free coupon and take it to Walmart to score a nice deal on Renuzit Fresh Accents. Thanks, Clip and Follow and Photo Credit, I Heart the Mart!